Review: We Love the Infantino Jumbo Wheel Play Space! Did you know I'm an Infantino test drive mom? Thanks to Mom Central, my precious kids are getting the opportunity to try out a few brand new Infantino products! 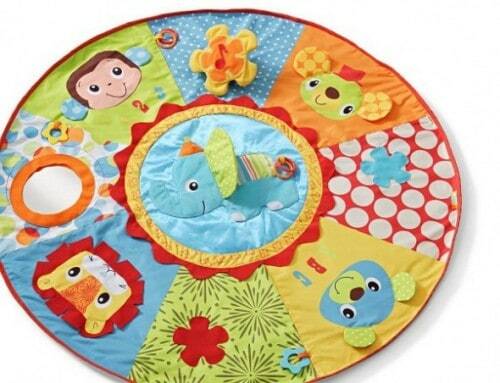 One item they sent me was the Infantino Jumbo Wheel Play Space. Let me tell you, it's the mother of all activity mats! As you can see from the product photo above, it's a giant circle with lots of features to stimulate both babies and toddlers. Piper's favorite is pretty much all of it. I know I'm lucky to have a super calm, peaceful baby; many things hold her interest for the longest time! the Infantino Jumbo Wheel Play Space is no exception. She loves the giant crinkly elephant ear right in the center, and she's a huge fan of the tiny little ribbon tags on the edge of the red and white polka dot segment. Piper really gets a kick out of the mirror. She'll crawl over to it and hover over it, babbling at herself and smiling the whole time. 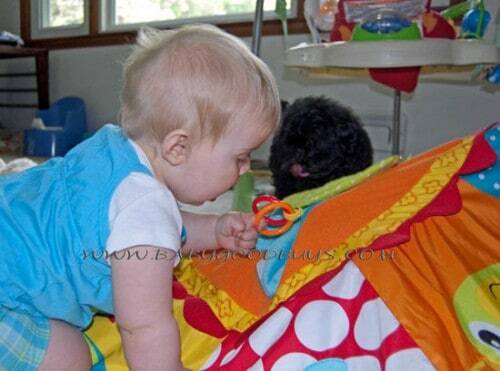 Of course, what baby can resist tugging on plastic rings? I absolutely love knowing that Piper will be interested in this for a long time. There are more than 20 play features on it, and she's only just scratched the surface of discovering all of them. Really, this toy is fantastic and we love it. I do have to say, though, that I'm disappointed in the music-playing flower. The battery in it wore out within days of receiving it, and, as far as I can tell, there's no way to fix it. It would have been easy to make a small Velcro slot to access the battery area to change it, and I wish they would have thought of that. Did I mention that the Wheel is 47″ wide? That's almost 4 feet in diameter! Both Haiden and Piper can play comfortably on it without one of them being on top of the other. I know it's tough to find indoor toys that work for two little ones to play with at the same time, but this one works for us! 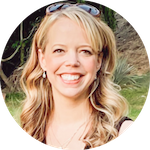 FTC Disclosure: I am a participant in a Mom Central campaign for Infantino and have received various Infantino products to as part of my participation. Soo cool. They always have such neat toys for little ones after I’m done having little ones ha! Sooo cute! I love those things! Just wish they didn’t cost so much, since you only really use em for a short time! Oh, that sure does look like fun for the little ones!! Looks like a great baby shower gift! This looks awesome! My kids LOVED bright colors so I bet they would have LOVED a play mat like this! Wow, that is huge! Looks like so much for the little people. Looks adorable! i love that it plays You Are My Sunshine! Cute toy – great gift idea!